Just because you worked up a sweat in your cardio kickboxing workout, you shouldn’t suffer through sweaty, stinky gloves the next time you train. 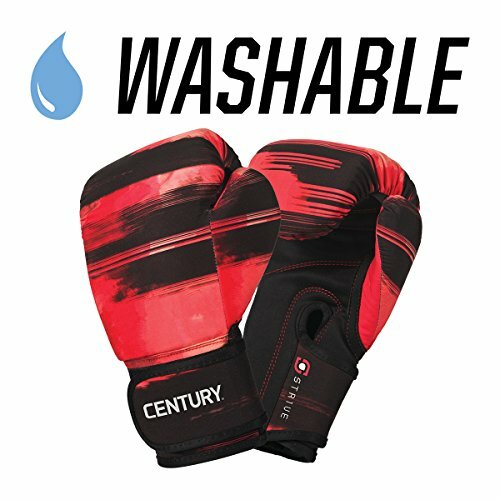 Train fresh with Strive Washable Boxing Gloves. Being machine washable and dryer safe makes these gloves super easy to keep clean. Gloves come in multiple design options that won’t crack and resist fading, even after multiple washes, so you can keep them looking – and smelling – just like new. Size: One size fits most. Weight: 10 oz. Specially designed to fit a woman’s longer, more narrow fist shape.